These smoothie recipes are delicious! Subcribe to my feed so you can be updated to newly added kids recipes. 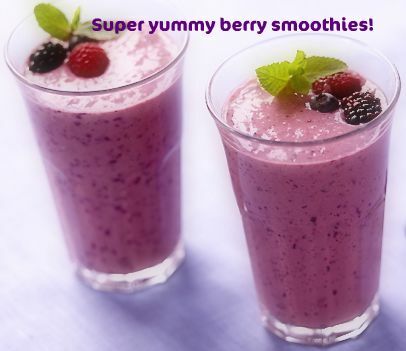 Kids love smoothies, they are healthy and so easy to make. Measure all the ingredients into a blender. Cover and blend well. Pour into cups and enjoy! Serves two. Add ingredients to blender. Cover and blend well. Pour into glasses and enjoy! Serves 2. Did you like the smoothie recipes? Check out more recipes here!